Pioneers in the industry, we offer commercial water purifier, industrial water treatment plant, industrial water plant and desalination equipment from India. Commercial Water Purifier is used for purifying water and effectively removing the harmful entities present in it. We provide our customers with premium quality Water Purifiers, which are manufactured as per advanced technologies and hygienically processed for excellent and reliable functioning. 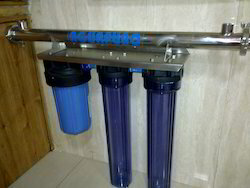 Also, the Commercial water purifier systems are tested for quality and compliance with industry standards. Our provided Commercial water Purifier plants are known for killing all harmful bacteria and viruses, thus imparting maximum protection against water borne diseases. The excellent features and reliable functioning of the water purifier plant have appreciated by our esteemed clientele. These Commercial water purifiers can be used for Drinking Water as well as other water usages where purified water is required. bigger systems can be provided with custom made designs and based on the Raw water Analysis report. 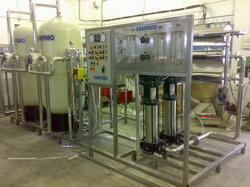 Looking for Industrial Water Purifiers ?